For those of you who don’t know, I’ve spent the last year of my life (April 2018-March 2019) driving from Denver to Memphis to Wisconsin to Vancouver to Los Angeles to…. Panama. 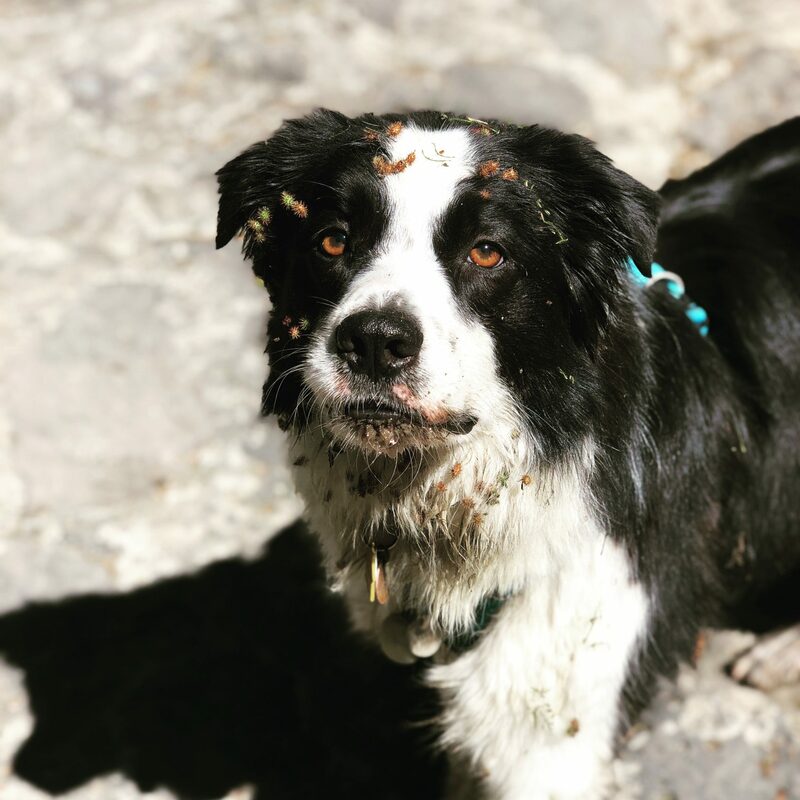 My dog Barley has joined us for that whole trip – 7 countries, an estimated 13,000 miles, and over 200 hours in the car. Guess what? We leave him in the car. We’ve left him in the car in Las Vegas, Texas, Mexico, Guatemala, Honduras, and more. As a professional trainer, I sometimes left him in the car while I grabbed dinner on the way home from herding class or while I prepped a client and their aggressive dog for an introduction to him. We’ve left our dog in the car on hot days in seven different countries. And you know what scares me the most? It’s not the desert heat in central Mexico or the oppressive humidity of coastal Costa Rica. It’s the idea of a well-meaning American trying to “save” my dog from the hot car. The thing is, it’s ok to leave a dog in the car – if you do it right. Of course, forgetting your dog in the car can kill your dog. And being irresponsible or unreasonable about a dog in a hot car can kill your dog. I’m obviously not advocating for leaving your brachycephalic, obese, geriatric pug in a black car in full sun in Florida for hours. But I think there’s a bit of unhealthy hysteria about this topic online, and I’m jumping in (after DoggyU broke the ice) to share my tips and tricks for leaving a dog in a car. Why Not Just Leave Your Dog at Home? I’d actually like to echo the arguments made in a recent article, “It’s Almost Window-Smashing Season,” and a corresponding podcast, “Dogs in Cars:” most dogs would probably rather be a little bit warm than be left home alone with an overfull bladder. This podcast and blog combination inspired me to write this post – so kudos to them! I’m NOT arguing that you should leave your dog alone for two hours in a black sedan in full sun. OF COURSE NOT. I love my dog far more than you love my dog, and I’ll do everything in my power to keep him happy and safe. That means that I leave my dog in a warm car sometimes. Barley gets to come to training classes, competitions, long hikes, and road trips ONLY because I’m able to leave him in the car unattended. His life is richer, fuller, less boring, and less potty-dance-full because he tags along in the car. He doesn’t love being left alone. Taking him in the car means he’s left alone less. I travel a TON – not just for this one big trip, but also for climbing trips, conferences, and training. Barley gets to come. And he’s happier for that. So far, we’ve had no troubles with any window-smashers. I’m grateful for that, but it’s always my biggest worry. How Hot is Too Hot to Leave a Dog in a Car? There’s a lot of fear-mongering out there about the temperatures inside of hot cars. Yes, cars can get dangerously hot alarmingly quickly. Yes, cracking the windows does very little to cool your dogs off. Yes, when it’s 80 degrees Fahrenheit outside, the temperature inside your car can heat up to 99 degrees Fahrenheit within 10 minutes. Cars with pale interiors don’t heat up nearly as fast as cars with dark interiors (check out that study from American Association of Pediatrics). There are tons of gadgets available (and we’ll list them below) to help keep your pup cool if you leave her in the car. Most people who are leaving their dogs in the car are acutely aware of the risks and have taken precautions. Many people don’t really know what heat distress looks like in a dog. Look hard before you panic. There are tons of ways to help rescue a dog you think is in distress other than smashing a window. Smashing someone’s window as your knee-jerk reaction is rude (and potentially illegal, if the dog isn’t actually in distress). I’ll talk in a moment about some of the ways to keep a dog cool in a car. But first, let’s address what to do if you see a dog left in a hot car and you’re worried. How Do I Make it Safe to Leave a Dog in a Car? Put a note out with your contact info and any safety features your car has for your dog. Don’t necessarily make this huge and obvious (you don’t want to attract prying eyes that might stress out your dog) – but make it easy-to-find and clearly written. Park your car in the shade whenever possible. Give your dog water – but again, remember that dehydration and heat exhaustion are not the same thing. Make frequent check-ins. I come out every 15 minutes or so if it’s warm out to ensure Barley is still doing well. If it’s overcast and cool, I check less often. I check the temperature in the car and walk him if needed. Get a light-colored car. Ok, this isn’t an easy task – but keep it in mind if you’re car shopping! Our Saturn Vue is white and it stays amazingly cool, even in the summer sun. Get white interior covers for the car. As I said above, there was a study done that found that the interior color of the car is the best predictor for how hot or cool it was. So if you can get white seat covers and/or white dashboard mat (you might have to make one of these, they don’t seem to make them), that might make a significant difference! Get reflective window shades. Window shades can really help keep the sun out. Since we know that the interior color of your car makes a big difference, keeping that sun out altogether will help a ton! Leave the AC on with a remote start, locked door/spare key combo, or steering wheel lock. We use the steering wheel lock option, especially at super-hot border crossings where there’s no shade! If you know you’ll be leaving your dog in the car more frequently or for longer periods of time, consider getting some of these high-tech options for keeping a dog cool in a car. Consider a temperature monitor. Remote temperature sensors don’t come cheap and they can fail, but they’re also a huge help for peace-of-mind. Many connect directly to your phone for easy temperature monitoring. Just don’t rely blindly on the technology. Breezeguard. These are my next big purchase after I buy a new car (they have to fit your car). They’re locking and super sturdy, but quite expensive. I’m seriously considering getting these window grates instead – they’re not good for much other than keeping your dog in with an open window, but that’s all I want most of the time. A small crack in the window won’t do much, but these tools let you roll your windows down much further! Aluminum shade cloth cover. This car cover will really help keep your car cool with your dog inside. Unfortunately, they also draw attention to your car, which could mean prying eyes. The cover is super effective, though! Doggie cooling pads or jackets. You can also give your dog a cooling mat to lie on or a cooling jacket. These will really help keep your dog’s body temperature low, but only for as long as they are running. Many only last 20-40 minutes. Your mileage may vary. Tailgate lock. This nifty tailgate lock allows you to prop your trunk open for extra ventilation. They’re super easy to install and keep your car secure with far more ventilation than just cracked windows! There are times I’ve left Barley in the car where he probably was pretty warm – maybe even hot. But if you’re careful and smart about it, there’s no need for hysteria about leaving your dog in the car. I Found a Dog Left in a Hot Car. What Do I Do? First off, don’t panic. As I said above, there’s a very good chance that the owner will be right back and that the owner is highly aware of their dog. I know I am super aware of the time and temperature whenever I leave Barley! Second off, don’t get angry. Don’t call the police right away; definitely don’t smash a window. Try to be calm, polite, and rational. Assume the best of people. Leave the dog alone. Hovering, knocking on the windows, peering into the car, etc can all stress the dog out more. My own dog will happily nap in the car – but turns into a barking mess if people try to bother the car. If the dog is barking, odds are he’s barking AT you because you’re in his space. Wait it out a little bit. Even if it’s pretty hot, the owner might just be running indoors for a 5-minute bathroom break. I’ve left Barley in the car when it’s really hot – like 90+ degrees in Colorado summer – if I’m just running into a gas station to pee. He’s not gonna die during a 5-minute break! The dog was just hiking in that same heat, for Pete’s sake. Observe the dog from afar. If the dog is quietly sleeping, leave it alone. It’s FINE. If the dog is panting lightly but seems relaxed, leave it alone. If it’s barking at you, give it space. Then see how it looks when it’s not stressed about you. If you’re not sure, it never hurts to politely check in with the owner. But don’t be a jerk about it! If the dog seems incoherent, is drooling excessively, is panting with a HUGE lolling tongue, has its lips drawn super far back into a “grin,” or seems like it’s unconscious (not sleeping), THEN it’s time to get help! For sure! Talk to the owner (politely) first. Check the car for any phone numbers or information. 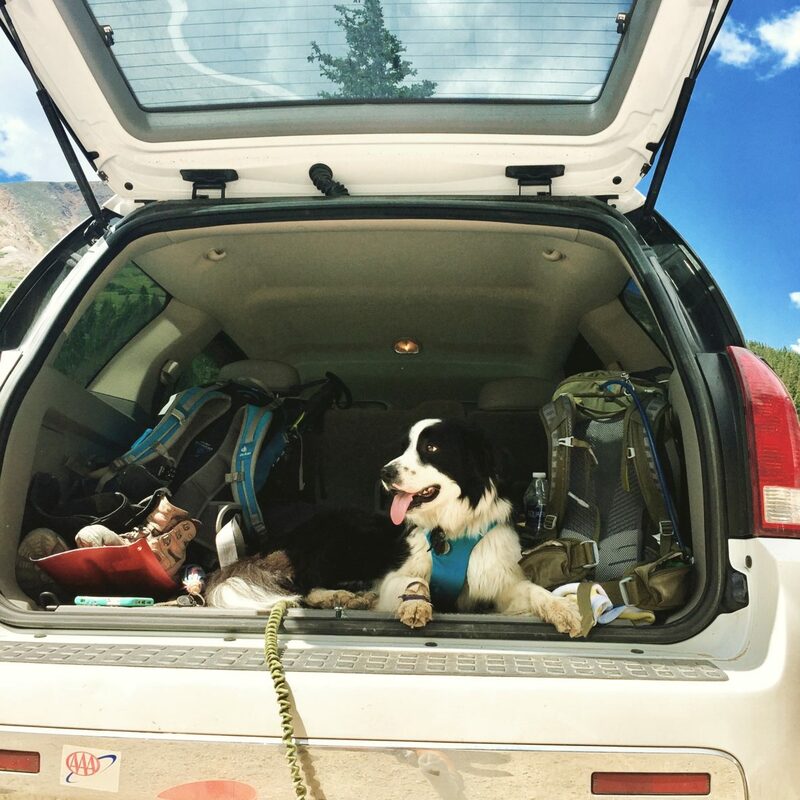 Many people who travel frequently with their dogs will have their numbers and even information about their dogs (and the setup they use to keep their dogs cool) on their car. I personally leave a note on my dash. If you can’t find any info, take down the license plate number and head into nearby businesses. Odds are, the owner is in the closest building. Politely ask the business to page the owner. Remember, you are NOT more concerned about this owner’s dogs than they are. I guarantee that the owner loves their dogs more than you do. If the owner assures you their dogs were fine, they probably were. Don’t make a huge scene. Having 20 angry people standing around a stressed dog in a hot car isn’t helping ANYONE, least of all the dog and his owner. Get extra help only if needed. If you really can’t find the owner, call the local non-emergency police number for backup. Break windows only if legal and necessary. Only do this if the dog is really in dire condition. Light panting and some barking is NOT the same thing as heat stroke. If you do break the window to save the dog, get it to a cool place (ideally in water) and offer it water. Cooling the central body temperature is far more important than giving the dog water. Dehydration is NOT the same thing as heat stress. Every time that I’ve noticed a dog in a hot car, I’ve actually stopped at #3. I’ve waited a little bit and observed the dog, and decided that the dog seemed fine. And I minded my own business. Dogs have better lives when they get to spend more time with us. Outfitting your car so it’s dog-friendly in the summer is a great way to improve your dog’s life!